"Whilst it may seem an obvious notion to contact an animal communicator in such circumstances...in reality, communicating telepathically with a missing animal does not just involve the process of connecting and communicating with them to ask what they feel about their situation..... It is a request for an animal communicator to physically LOCATE their very being.."
Please know I do not personally work with AC sessions to locate missing animals. The information below is with intent to be supportive if you are seeking advice re a lost animal and wondering if AC may help. At the bottom, is a link to those that currently advertise as assisting in this way. A missing-from-home animal - 'lost' animal - is one of the most sensitive, heart rending situations any animal guardian can experience. In a positive light, it's to remember that frequently animals may temporary be absent from home for all manner of reasons and quite safely so. Countless stories recount the safe return of loved animals, hours, days, weeks, months or longer after they have disappeared. Though what can be done if suspicion is that something else has occurred, hindering or preventing their physical return? IF YOU ARE AN ANIMAL COMMUNICATOR ...CAN'T YOU JUST ASK THEM WHERE THEY ARE ? Whilst animal communication (AC) has been known to assist locating or returning a lost or missing animal on occasions, no guarantee can be given that a communication session will result in an animal returning home safely or indeed being found, and, for a multitude of reasons. Telepathically communicating with a missing animal is a wide, wide, subject with numerous possibilties and eventualities to consider. 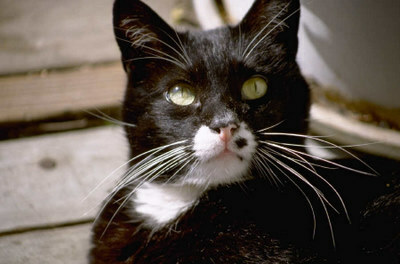 Whilst it may seem an obvious notion to contact an animal communicator in such circumstances...in reality, communicating telepathically with a missing animal does not just involve the process of connecting and communicating with them to ask what they feel about their situation (as is the usual manner of AC). It is a request for an animal communicator to physically LOCATE their very being. And for the animal communicator do so whilst managing the intense emotional pressure the animals' guardian(s) often express when they are understandably often desperately seeking literal answers towards their companions situation, not just on one day - but often day after day. Such a scenario - urgency, desperation & anxiety - along with demands for updates and pressure from the animals people to do more, faster, sooner - unfortunately is quite the antithesis of any optimal mindset approach for telepathic clarity,- and resultantly is now a major contributory reason to why so many professional animal communicators working with integrity decline even attempting involvement with such cases. If for some reason you found yourself in a place, a room, an envrionment some random distance from your usual physical home with no outside view from any window (if inside) or no sign posts at your eye level (if outside). Possibly continually on the move, and with no clear recollection, necessarily, of how you got to be there. How would you describe - during a short phone call to a potential communicator/rescuer - just where you were? It is likely you might describe the immediate vicinity and how you felt in yourself, or about being there. Though this may then only be applicable to the few minutes or moments you are where you are, during that conversation. Animal Communication in many cases, is able to convey just that. WHAT ABOUT REMOTE VIEWING THE ANIMALS LOCATION FROM AN AERIAL PERSPECTIVE ? Using Scientific Remote Viewing (SRV) and other intuitively based techniques, some Remote Viewers/animal communicators have sucessfully 'viewed' the whereabouts of an animals physical body in this way. However, not all attempts at this practice are always sucessful and so once again, any animal communicator with professional integrity will not guarantee that they are definately able to locate an animals physicality, whether it is alive or otherwise. PLEASE, then, initially instigate a FULL, LOCAL SEARCH of your own area distributing flyers/posters before seeking to engage a professional animal communicator. The practical steps below may also be of help. Searching: as soon as an animal is known to have genuinely gone missing, depending upon the nature of the species & the initial likelihood of their whereabouts, start a practical search straight away. Contact all neighbours & those in your home vicinity who may have seen the animal. Distribute clearly worded bold flyers/posters through all neighbouring doors. 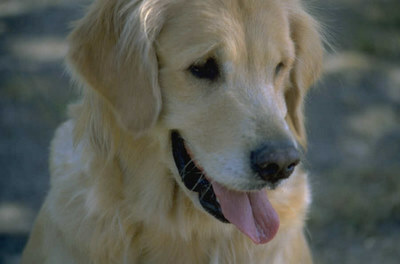 Lost cat or dog: read 'Recovery Tips' at: www.pethunters.com. NB: this web site has excellent advice on poster design for maximum impact & attention for reported missing animals. For details: On their home page, go to top bar menu 'Recovery tips' continue to menu 'Overview' & then scroll down to 'Posters 5 +5+55'. Create media notice; ie, via a facebook campaign, and or by contacting local or national newspapers/magazines with the story. Contact/advertise in Press, radio, internet,newspapers, horse magzines, vet surgeries, feed merchants newsagents & other public places. Whether you consider you communicate with your animal companion already or not, the fact that you have a loving bond with the animal will ascertain that you do (& can) communicate with them telepathically very easily. In a quiet moment, either mentally or aloud, think or say whatever you want your missing animal companion to know. Do your best to use as positive imaging as possible with the words & phrases you use (even when 'thought' in your mind). Animals pick up on the images,(pictures), that a word, phrase, sentance or intention forms. By example, the phrase 'keep safe, you'll be home soon' is postively phrased, but in contrast, a negatively conveyed message is: 'don't be scared..don't worry'. Even though this may be said/thought with sincerity, - animals don't comprehend the word 'don't' and the image the phrase conjures up is then of the remaining words 'scared' & 'worry'. Phrasing positively does take a little practice though & so please know if you are doing your best to come across positively towards your animal, the general concept of your well meant concern will still be picked up on & the animal will know your good intentions. Reassure your animal companion that all will be fine. Reassure them that you are okay in the meantime too. As much as you can in such circumstances, remain positive. Treat yourself kindly whilst you are coping with the situation; know that your animal companion would only want the best for you, & by taking care of yourself you will naturally then convey calmer & more reassuring messages towards them telepathically. 1. The Beacon/Searchlight: Visualise on top of your house a powerful light or beacon, and like a stadium searchlight envisage it shining out from the house & garden for 360 degrees around. Send out intent that your missing animal, if lost, will see this light even from afar and will know where to come home to. Do this visualisation at least once or twice a day. 2. Silk Ribbon/Cord: Imagine a strong silk ribbon or cord connecting your heart to your animals heart. Know that this ensures you & your animal remain connected. Even for professional communicators, lost animal situations are challenging work, differing from regular sessions on many levels. 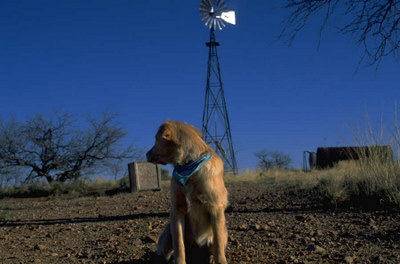 The main issue during a lost animal session is locating where an animal is. Animals may well move around and so be in different locations, thereby making it difficult to pinpoint at just one particular place. Information of their surroundings conveyed from their eye level view may not always be easy to identify practically from usual location descriptions - notably at our eye level range. Additionally, when an animal is lost they may not be feeling their 'normal' selves and so who the communicator 'picks up' may not come across as their usual known personality. And, incredible though it may seem to those with differing views - because it is just as possible to communicate with animals which have passed over - it is not always easy to correctly determine whether a lost animal is still physically alive or not. This may be for various reasons, one being, that if, an animal is unconsious or temporarily stunned or traumatised, it may well come across as 'in spirit' when communicated with for even a comparatively short time. And so, this 'apparent status' - seemingly 'accurate' at the time of the AC session may then be taken as 'what is now the case' though, of course, it may then not be so. Additionally, what information comes across 'as' during the time of the AC, may change even minutes after a session has been made, such is how life is. I would like to emphasise that when making a 'lost' AC session it is more likely that information may come across as to 'how an animal is thinking/feeling' about what has happened since last being at (your) home, or their immediate surroundings where they are/who they are with (now) as opposed to finding an exact location. Please take this into consideration before booking a 'lost' AC session with any professional animal communicator. WHERE CAN I FIND AN ANIMAL COMMUNICATOR FOR A LOST AC SESSION? Know that telepathy has no limits distance wise. AC is just as effective with a communicator located in a different country from where you animal usually lives. Every very special thought towards the safe return of your loved companion.